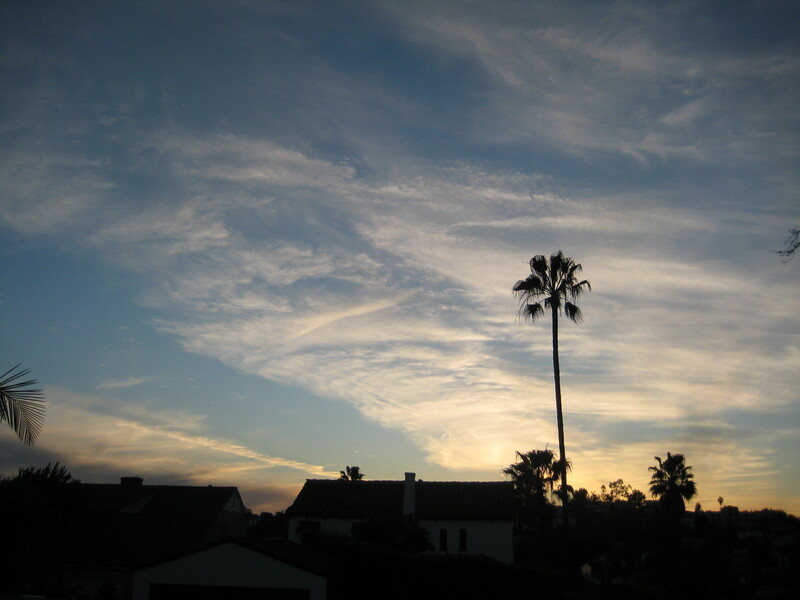 Reading palms, redux | Real in L.A.
Here’s an example of why I decided to actively look at what’s around me. Two palm trees conveniently side-by-side got me to notice they were different species. But palms are tall and at street level, I notice them primarily when their tiny fruits, smushed by passers-by, litter the sidewalk. I rarely see them up close and personal. 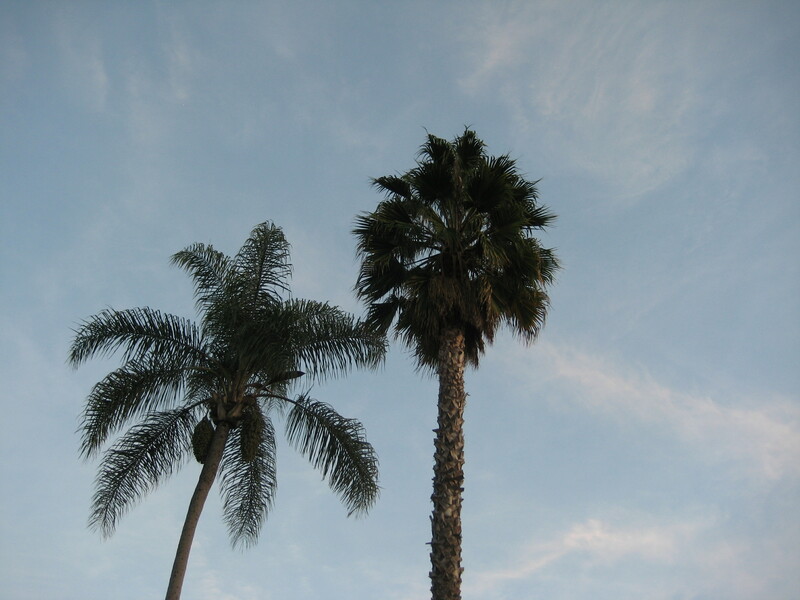 I’ve learned that the tree on the right is a fan palm, so named because, well, their leaves look like a giant fan. (I think even I could’ve figured that out.) This one is probably a Mexican fan palm: Washingtonia robusta. If it is a Mexican fan palm, it’s origin is the Sonoran desert. Its cousin, Washingtonia filifera, is a native. I’m guessing this tree is W. robusta only because I read that the preponderance of fan palms in urban Southern California are Mexicans, introduced into L.A. at the time of the 1932 Olympics. Which leaves open the question of why the native trees weren’t adopted. Or the question which looms larger for me: Why have I thought for 20 years that these were royal palms? I have no idea if this is an actual royal palm. Turns out there are 55 genus of palm trees (family name: Arecaceae [just can’t get away from this Latin business]), though if I knew how many of them were pinnate we could at least narrow it down a bit. I wonder how to find out for sure? You are currently reading Reading palms, redux at Real in L.A..